Rachel and Kirsty love helping out at the Wild Woods Nature Reserve, meeting heaps of adorable animals! 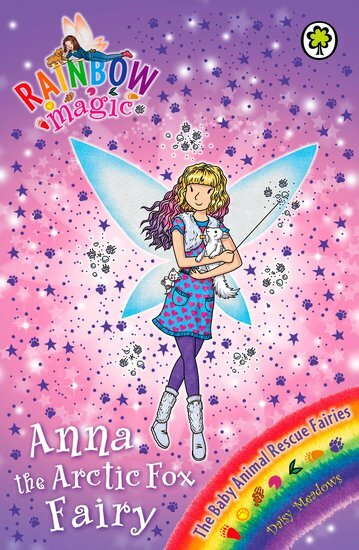 They also get to hang out with the awesome Animal Rescue Fairies, who bring sparkle and magic to everything they do. But when wicked Jack Frost decides he wants the baby animals for his own personal zoo, he steals the fairies’ magical keyrings! Now Anna the Arctic Fox Fairy must call on Rachel and Kirsty for the sake of her fox cub friends. If they can’t help, a cute little cub will be captured by the Ice Lord’s evil goblins!